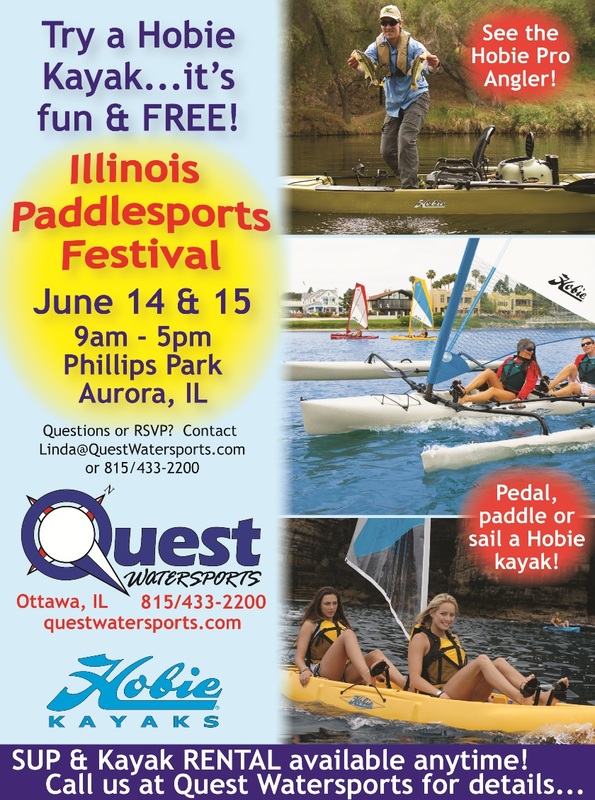 Join Quest Watersports at the Illinois Paddlesports Festival at Phillips Park in Aurora this weekend, June 14 & 15, to try a Hobie Kayak! 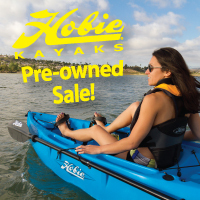 Colin Belle, Hobie’s regional kayak fishing pro, will be on hand all day Sunday with tips & advice for kayak fishermen, and will present a kayak fishing seminar at 11:30am Sunday. Quest will also present a kayak sailing seminar – featuring the Hobie Tandem Island – at 1:00pm Sunday. Find more info on the festival at http://illinoispaddlesportsfestival.org/.